Launching Bloomsbury's Thinking Media series, Media Matter introduces readers to the nascent field of media-philosophy. Contributors urge readers to re-adjust their ideas of Media Studies, by extending the understanding of "medium" to include a concept of materiality that also includes "non-human" transmitters (elements such as water, earth, fire, air) and also by understanding media not only in the context of cultural or discursive systems or apparatuses, relays, transistors, hardware or "discourse networks," but more inclusively, in terms of a "media ecology." 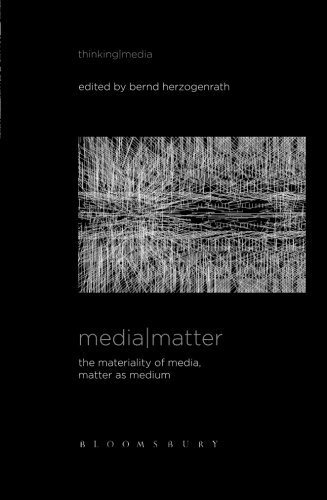 Beginning with more general essays on media and then focusing on particular themes (neuroplasticity, photography, sculpture and music), especially in relation to film, Herzogenrath and the contributors redefine the concept of "medium" in order to think through media, rather than about them. About: Launching Bloomsbury's Thinking Media series, Media Matter introduces readers to the nascent field of media-philosophy.